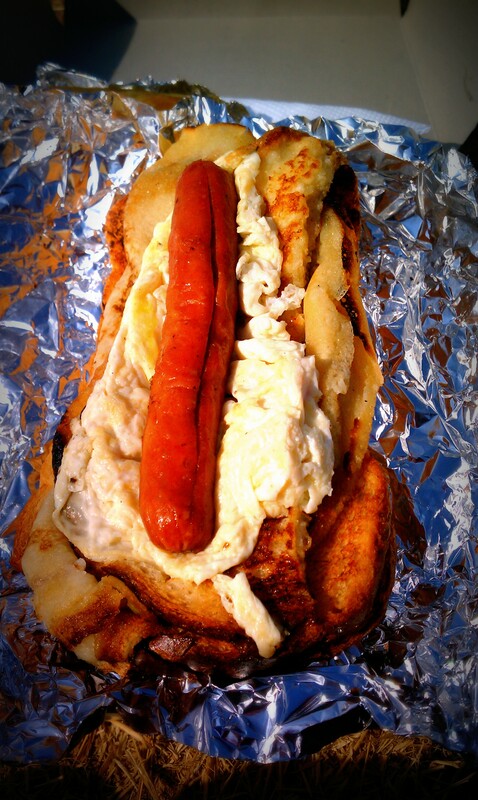 Part of our breakfast during safari: a hotdog atop an egg omelet, atop a crepe, atop bread. I ended up separating the hotdog and the bread and eating them together. We also had a boiled egg, cookies, tropical fruit juice and fried chicken.